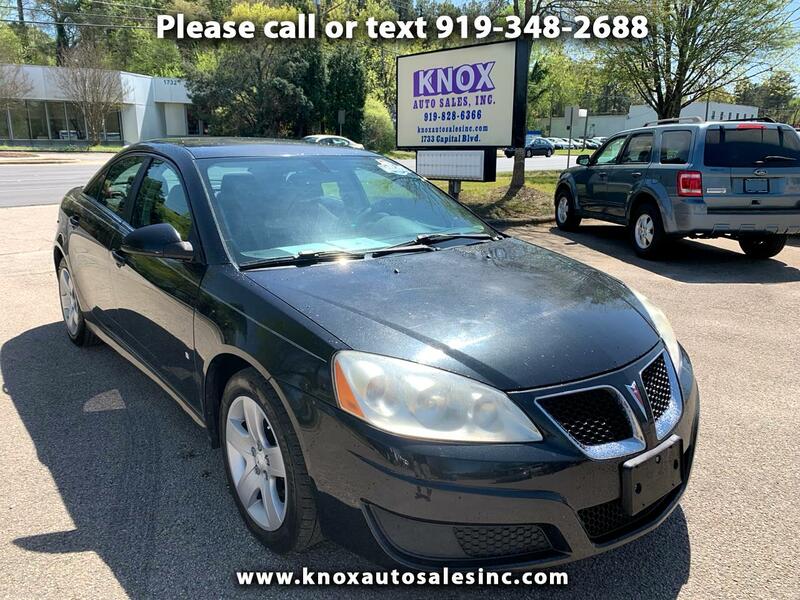 Used 2010 Pontiac G6 Base for Sale in Raleigh NC 27604 Knox Auto Sales, Inc.
1 OWNER!!! NC OWNED!!! CLEAN CARFAX!!!! Visit Knox Auto Sales, Inc. online at knoxautosalesinc.com to see more pictures of this vehicle or call us at 919-828-6366 today to schedule your test drive.